(4) He took on flesh, as a Jew born under the Old Testament Mosaic Law, and lived the perfect life that we could not live. (5) Nevertheless, while doing nothing to deserve death, He was crucified and died IN OUR PLACE, at least in the place of those who have put their faith and trust in Him. He took our place on the Cross, the righteous for the unrighteous. (6) And in doing so, when we put our faith and trust in Him and His finished work on the Cross, in His death, burial, and resurrection, then by His stripes are we healed. (7) Faith in Christ, as accompanied by the regeneration of the Holy Spirit, is how we are made right with God. (7b) This is the ONLY way in which anyone may come to the Father, or be made right with God. (8) But what the Gospel also teaches us is that we have been forgiven tremendously -- beyond our wildest dreams. We can scarcely begin to imagine the depth of our sin, the horror of our own rebellion against the God who created all things. (9) The Gospel also tells us that we must forgive others, those who sin even against us, AND PARTICULARLY OUR BROTHERS AND SISTER IN CHRIST. Based on all available public evidence, that DOES include Judge Roy Moore. (10) Failing to forgive someone who God has already forgive sets you up as a higher judge than God Himself, as a higher authority than the One who created -- and who will judge -- all people. (11) This is why we should base our votes on the issues, and on how someone will govern, rather than expecting them to have lived a "perfect life" in the past. (12) No one has lived a perfect life. We have all sinned. We have all fallen short. The difference is that those who are in Christ have already been forgiven by God, and those who are apart from Christ have not been forgiven. (13) So, while a person's CURRENT CHARACTER AND BEHAVIOR MAY BE AN INDICATION OF HOW THEY WILL GOVERN AND BEHAVE IN THE FUTURE, a person's past should not be held against them -- especially if that does not represent who they are TODAY, and if God has already forgiven those sins. (14) Thus, even if Roy Moore actually DID the things he was accused of (which I'm almost certain that he didn't), they were all over 30 years ago. (15) Imagine your own life 30 years ago. Or for that matter, 10 years ago. (17) Perfect by God's standards? Ever steal? Ever been angry at someone with cause? Ever look upon someone who wasn't your spouse with lust? Ever bear false witness against someone, or smear their character without evidence? Even someone from "the other" political party? (18) That's what I thought. At least if you were being honest with yourself. (20) And you need God's forgiveness, too. (21) Forgiveness that can only be had through faith and trust in Jesus Christ. (23) Assuming that Judge Moore's faith is as genuine as is shown on the outside, then he has been forgiven of all of his sins, whatever he may have done wrong in his life. But Doug Jones, based on his outward convictions and professions, most certainly is not. (25) And he claims to care about "the least among us" (well, except for those unborn babies). Well, here's what God CLEARLY showed me on that just over two years ago -- and this is coming from a man who used to think this way myself. (26) Despite what he might say about himself, Doug Jones most certainly is no disciple (student) of Jesus Christ, let alone a regenerate man who is led by the HOLY Spirit. (27) And so, apart from those things, Baby Killer Doug Jones -- that's who he is TODAY -- is still living under the wrath of God. (28) That is his CURRENT spiritual state. That's not something that he may or may not (almost certainly the latter) have done over 30 years ago. That's him today. That who he is. And absent a work of God, that's also how he'll govern. (29) So going forward, he will continue to support completely anti-God policies, such as abortion, and homosexuality, and the perversion of God's definition of marriage, and likely the hatred of Israel as well. (30) What many voters fail to understand is that even one unforgiven sin is enough to sentence a person to hell, even a sin of omission. No amount of good works or human "love" can make up for that. See Matthew 25:31-33, 41-46; and the link above explaining that passage, in #25. (30b) And quite frankly, most Americans -- including many "professing" "Christians," especially those on the "social justice gospel" works-driven left -- fail to understand this as well. (30c) That's why I'm writing here. (30d) And also, and perhaps more importantly, because the Lord put it on my heart to do so. (31) No amount of good deeds can overcome even one single unforgiven sin, any more than a doctor can get away with one murder just because he or she has "saved" thousands of lives in the operating room. (31c) And ironically, at some level, liberals and leftists get this when they demand absolute perfection from political figures. (31d) But they go astray in that they replace God with government, which is what government seems to be for most of them. Socialism and Progressivism are simply political forms of "My Best Life Now," an attempt to create a heaven (utopia, as they'd call it) on Earth. The Presence and Glory of God. There is not, never has been, & never will be ANY technology with a purely positive effect on society. Everything that makes life better for some group ALSO makes life worse for another group. If you’re building technology, figuring out who will be worse off is at least as important as figuring out who will be better off. It’s not a zero sum game - often the positive effects of a technology outweigh the negative ones. But there ARE negative effects, and we NEED to get better at understanding and mitigating them. 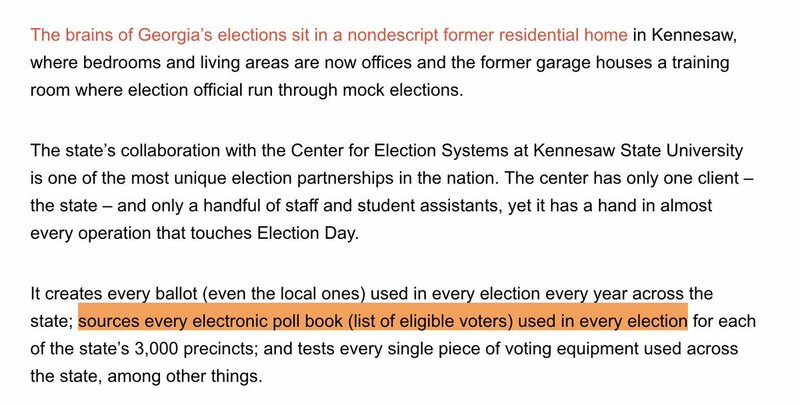 Look at HOW Kemp is justifying holding back applications - a typo or a missing hyphen keeping someone from voting, based on inconsistencies with past records. Past records? What would the source of those records be? and who was hacked in 2017, exposing 7.5M records? 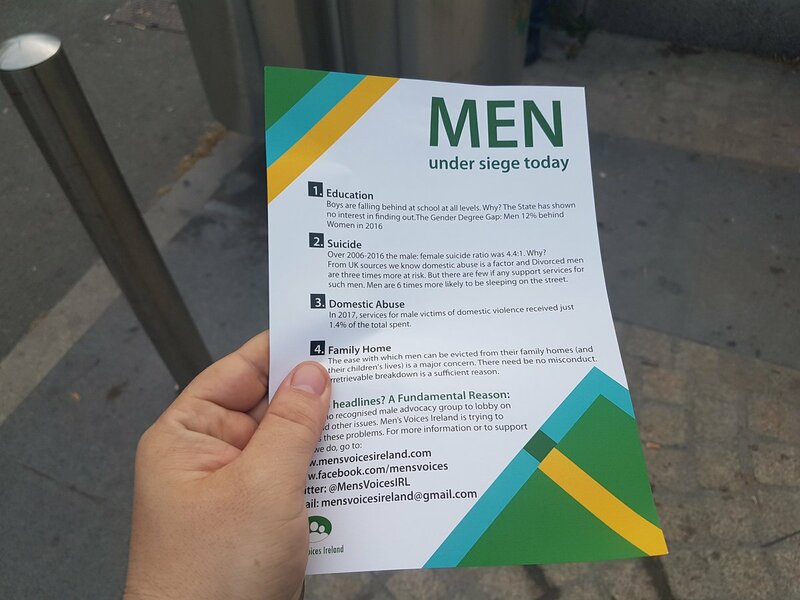 Two MRA bell ends are handing these out. I recycled the leaflet in front of them, laughing out loud. Real Alphas these lads.